1 Anderson, Robert Charles, The Great Migration Begins: Immigrants to New England 1620-1633, Vol. 3, P-W , Boston: New England Historic Genealogical Society (1995), 1526. 2 Roberts, Gary Boyd, "#74 Royal Descents, Notable Kin, and Printed Sources: The New England Ancestry of Actor Richard [Tiffany] Gere", (accessed 10/10/2014), New England Historic Genealogical Society (Online Database). 4 Townsend, Mrs. Charles Delmar, et. al., Mayflower Families Through Five Generations: Vol. 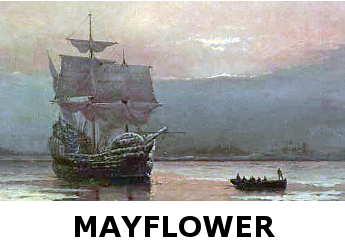 8, 2nd ed., Degory Priest, Plymouth, Massachusetts: General Society of Mayflower Descendants (2008), 3. 5 Williams, Alicia Crane, ed., Mayflower Families through Five Generations: Vol. 16, Part 1, Family of John Alden , Plymouth, Massachusetts: General Society of Mayflower Descendants (1999), 414.